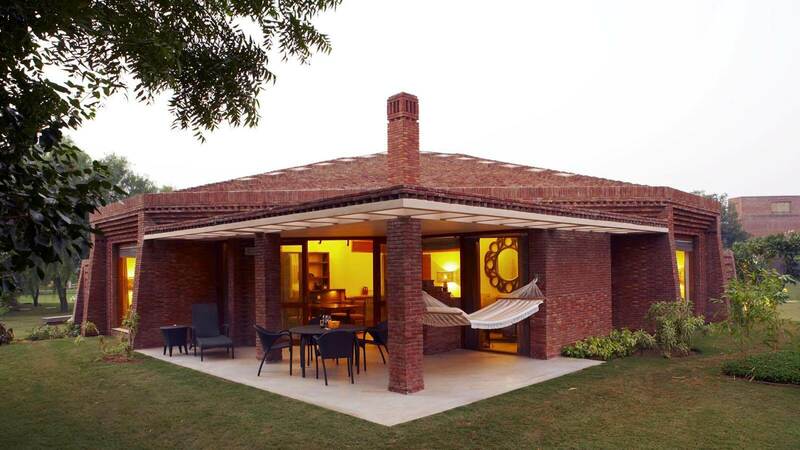 Home » Blog » Our Pick of 5 Hotels for a destination wedding nearby Delhi! The idea of a palace wedding in Jaipur or tying the knot in a sublime Goan resort has long titillated you and been a part of your dream, but now that your wedding preparation discussions are in full swing, it seems way too unreal. There are all kinds of reasons buzzing about in your head, how the elderly won’t be comfortable with the long hours travelling or your friends wouldn’t get leave from work to just about anything. Nevertheless don’t let the demons of logistics and feasibility deter you from having a wedding of your dreams. These five properties are a right fix for all those who are desirous of a destination wedding in India but don’t have the luxury of going too far from your beloved Delhi (read Dilli). 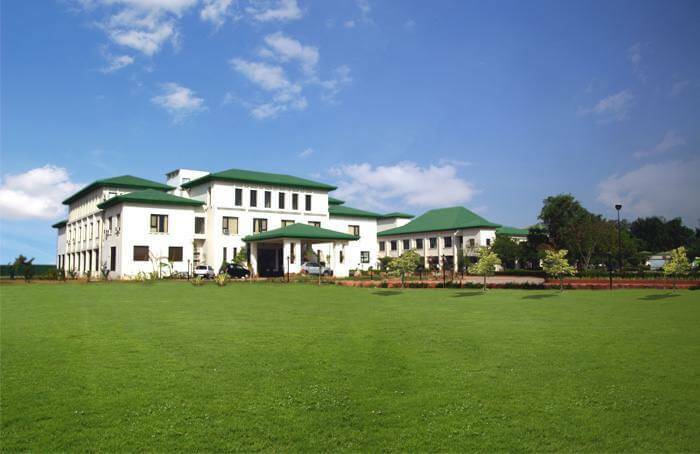 These hotels or as we call them wedding destinations though are near to Delhi, yet gives you feel of a destination wedding!! 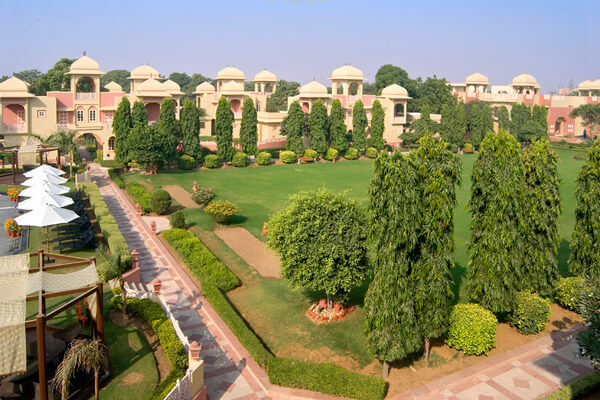 Located half way between Delhi and Jaipur, the majestic fort is a befitting choice for a palace wedding. 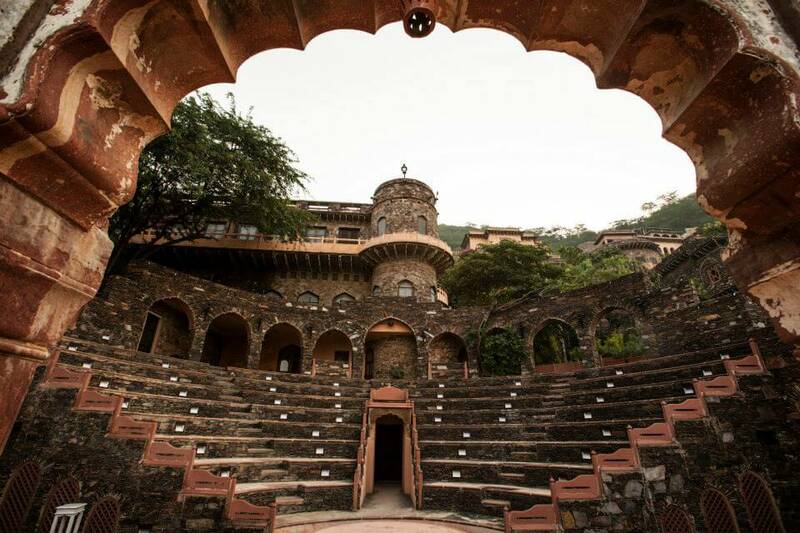 The grandeur and charms of this medieval fort are promised to make your wedding an unforgettable affair. The ceremony in its huge hanging gardens against the backdrop of rustic architectural gem would be surreal. Or one could always opt for its palatial indoor banquet halls that bear a charming medieval character. You and your guests could enjoy the activities like camel cart and vintage car rides, cultural performances and zipping tour, which are also a great photo opportunity. 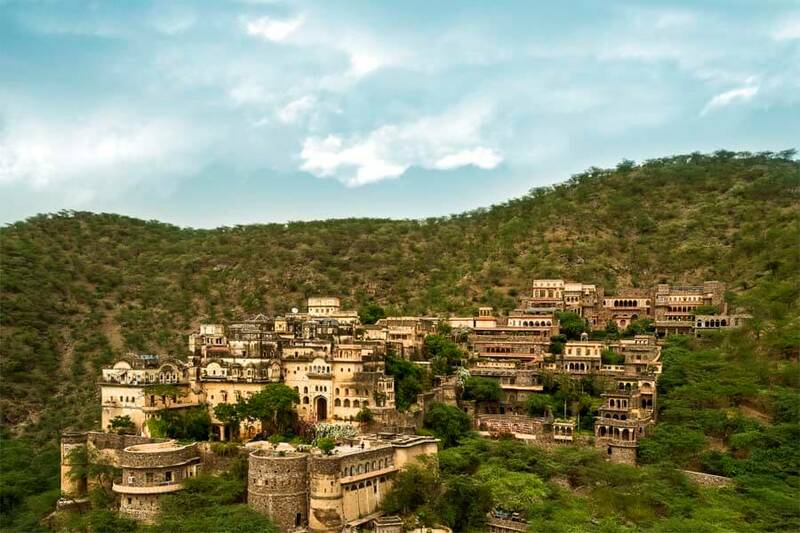 Neemrana is just 1.5 hour drive and if you want to do just two day or even one day affair, it can be done. Leave in morning and the following day you are back in Delhi in no time!! 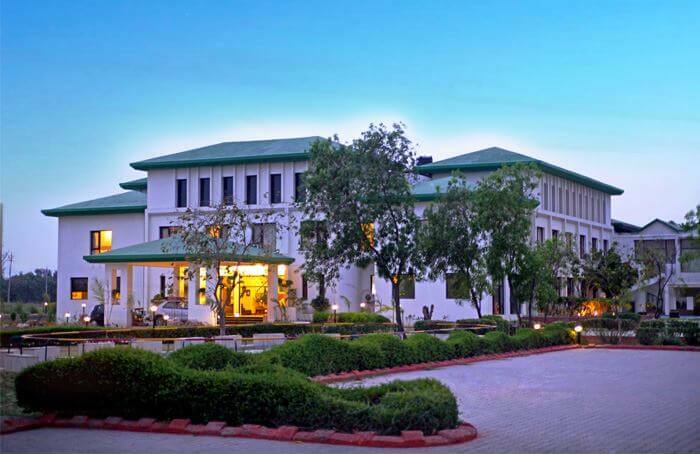 Located along NH8 Delhi-Jaipur highway, Heritage Village Resort & Spa is 30 minutes drive from the airport. With Rajasthan inspired architecture and enchanted gardens, it almost feels like having a wedding in the one of the heritage havelis of Rajasthan. You could organize mehendi or cocktail by the poolside while the main ceremony could be done in its verdant lawns. The tea lounge and wine cellar are great for welcome get together or the farewell party for your guests. The right proportions of contemporary, sophisticated and heritage makes this property a good choice for your wedding. Set amidst acres of lush greenery, Westin resort is not only a delightful get away from the city chaos but also a fabulous choice to host a Delhi wedding. You could have your ceremony at their elegant ballroom. We however would rather suggest ceremonies in its stunning verdant gardens as it would give it a destination wedding feel. There are multitudes of recreational activities offered at Westin like, star gazing, horse riding, cycling, cricket, aqua zorba, fishing, kid’s studio, there’s never a dull moment for you and your guests. Located on Delhi Mathura Agra highway, with equal distance from Delhi, Agra, Noida and Gurgaon (100 km), is a couple of hours drive from the international airport. 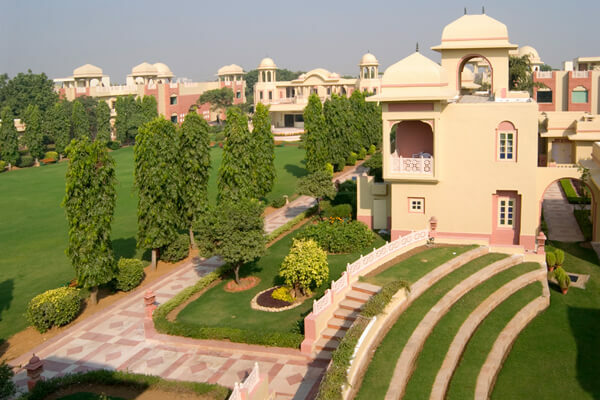 The quaint resort surrounded with acres of lush lawns would be a nice option for your weekend wedding fiesta. You could organize your functions at the banquet hall or poolside or lawns. 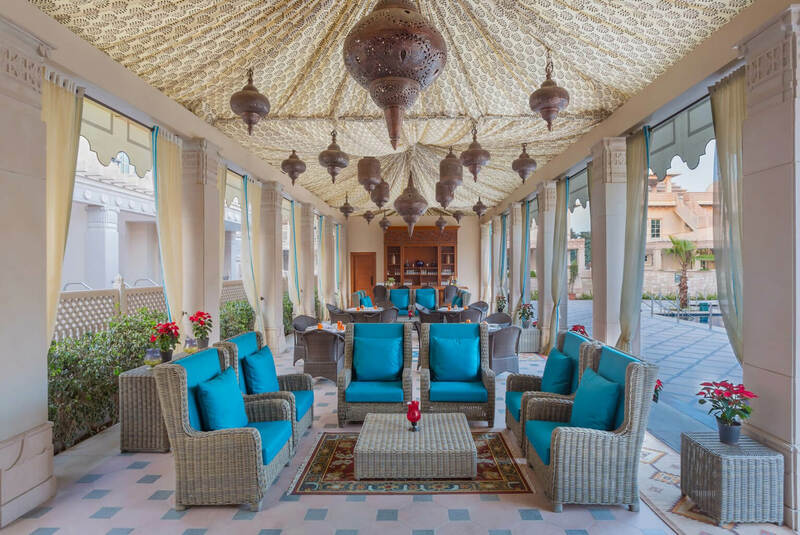 If you are planning on a wedding here, you don’t have to worry about the guests entertainment, as you could arrange for day trip to the Taj Mahal at Agra or the Bharatpur bird sanctuary or perhaps explore the cities of Mathura and Vrindavan. A budget friendly property coupled with vantage location has made it appear on our list. 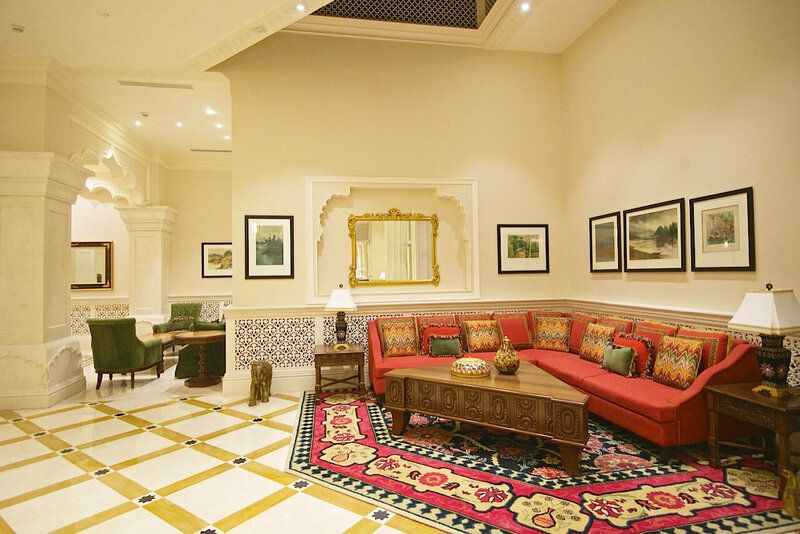 Located at the foothills of Aravalli, ITC Grand Bharat is the newest address of opulence and indulgence. The luxury destination resort is an ideal wedding venue for those who appreciate finer things in life and believe in celebrating life king size, literally. You could choose to host your functions at any of its banquet halls or in its stunning gardens. 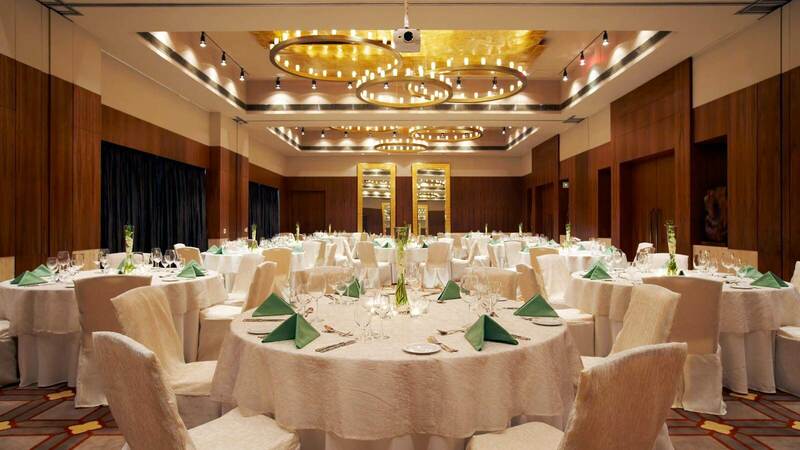 The Prithvi ballroom can accommodate up to 400 guests; boasts of a distinct pre function area and is uniquely suited for weddings of all kinds. Because it is an ITC property, you could be well assured that food would be top notch. A series of menus, individually crafted around dietary requirements and preferences, is available. Needless to say, luxury would be the undercurrent theme of any wedding hosted here. So let’s plan a destination wedding without having to leave your city, a happy ending for both you and your guests. This post was first published on So Delhi.